Way up in the wintry wonderland that is Sweden, the next-generation Range Rover was caught winter testing. 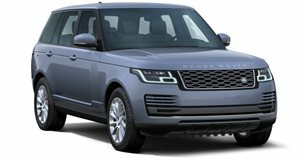 This Range Rover mule is expected to lose a considerable about of weight compared to its predecessor thanks to new aluminum chassis, an alloy body shell, and composite materials. The new vehicle is also expected to be longer, wider and lower than the current generation model. The 518-horsepower luxury SUV for the discerning doomsday prepper.